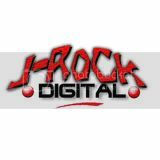 The Official Blog of Jasen Sousa: J-Rock Digital is proud to present the one dollar download!!! J-Rock Digital is proud to present the one dollar download!!! J-Rock Digital is proud to present the one dollar download!!! Download the entire copy of Jasen’s book in a ebook PDF format for only $1.00 dollar!! !